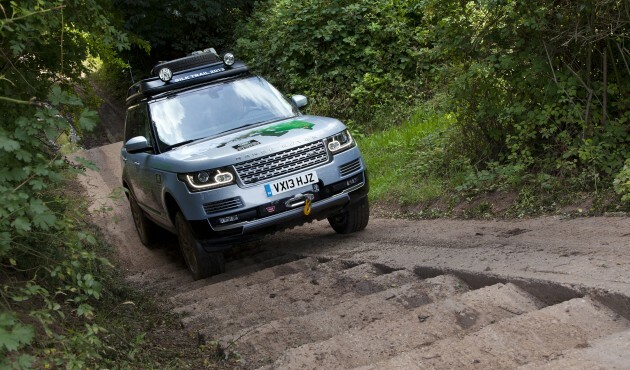 Land Rover has finally introduced hybrid technology into its product range, and they’re production-ready, with deliveries to commence in 2014. The two new hybrid SUVs by the British company will grace Frankfurt 2013’s stands – the Range Rover Hybrid and the Range Rover Sport Hybrid. Unlike most the usual formula for hybrid SUVs, Land Rover chose diesel power to pair with the electric motor. This is a contrast against cars like the Porsche Cayenne Hybrid, the Volkswagen Touareg Hybrid, the Nissan Pathfinder Hybrid and the Toyota Highlander Hybrid. We suppose that this is because the world’s biggest consumer market for SUVs is big on petrol power. The diesel motor in Range Rover’s hybrid powertrain is the SDV6 – a 3.0 litre turbodiesel. The electric motor is integrated into the ZF eight-speed transmission. Total system output is 340 PS at 4,000 rpm and a class-leading 700 Nm of torque. The electric motor alone can do 47 hp and 170 Nm. The Range Rover Hybrid can hit 100 km/h in 6.9 seconds, while the Range Rover Sport Hybrid does it in 6.7 seconds. Combined fuel consumption is 6.4 litres/100 km for both SUVs. The electric motor draws its power from a liquid-cooled lithium-ion battery pack mounted beneath the floor of the SUV. It is encased in a protective boron-steel cradle, and doesn’t intrude into cabin or luggage space. The hybrid system, which includes the motor, the lithium ion battery pack and the inverter, is claimed to weigh less than 120 kg. 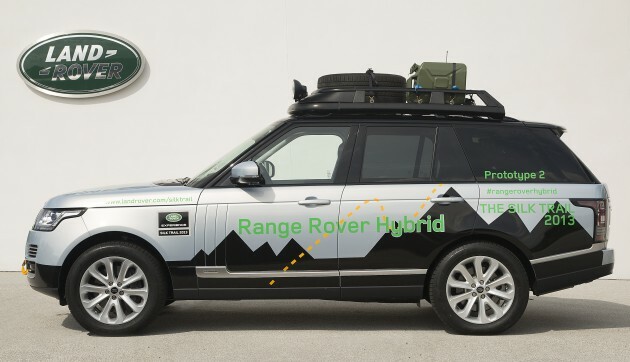 To prove the Range Rover Hybrid and Range Rover Sport Hybrid’s capabilities, both SUVs will embark on a 16,000 km road trip called Silk Trail 2013, which will cross multiple countries (France, Belgium, Germany, Poland, Ukraine, Russia, Uzbekistan, Kyrgyzstan, China and India) and take on various roads including the 4,000 mile Silk Road connecting Asia with the Mediterranean, ahead of their debut at Frankfurt 2013. Quite impress wt 2nd picture (hybrid climb the stairs). Powerful suv. 3 litres hybrid 340HP 700NM? This is the real power!